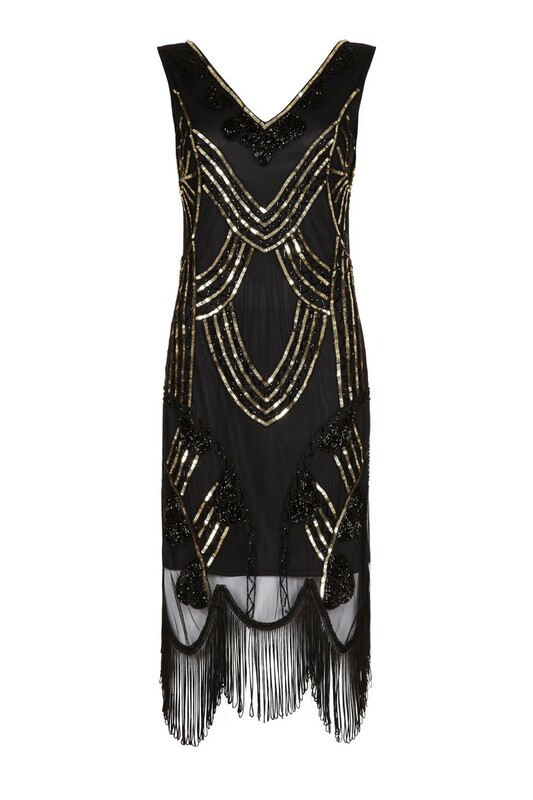 This season is all about devilish detail and this Black 1920s Fringed Dress is a wicked way to work the trend. If you haven't already been hooked by that incredible hemline, this tassel dress has a lot more to offer. We are in awe of the incredible beadwork on this fabulous flapper as it combines classic deco curves with more feminine floral pieces. As wedding season heats up, it is a great evening guest option and, of course, comes into its own at any formal or classy party. 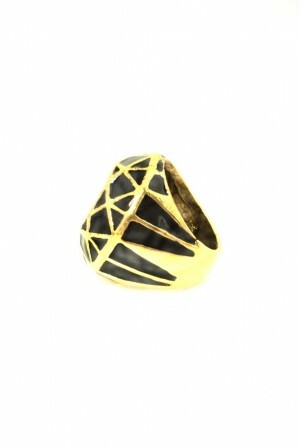 We would team this black and gold party dress with towering heels and understated art deco jewellery. This is a below the knee fringed flapper dress in black featuring gold sequin and beadwork in loop, linear and art deco leaf pattern. The dress has, scalloped hemline in sheer black with silken tassel, a drop waist, a V-neck and wide straps.